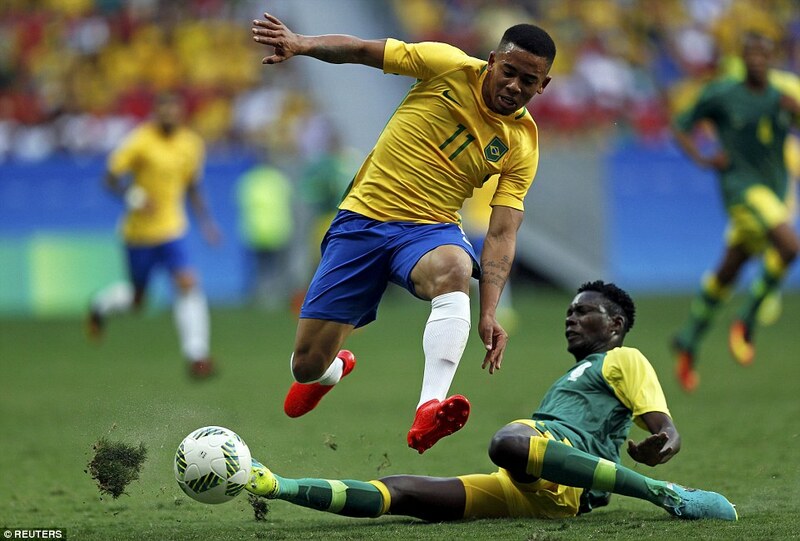 Home advantage, a multi-million dollar strike force and a man advantage for almost half the match could not help Brazil to a winning start as South Africa held the home side to a 0-0 draw in their opening match at the Rio Olympics. 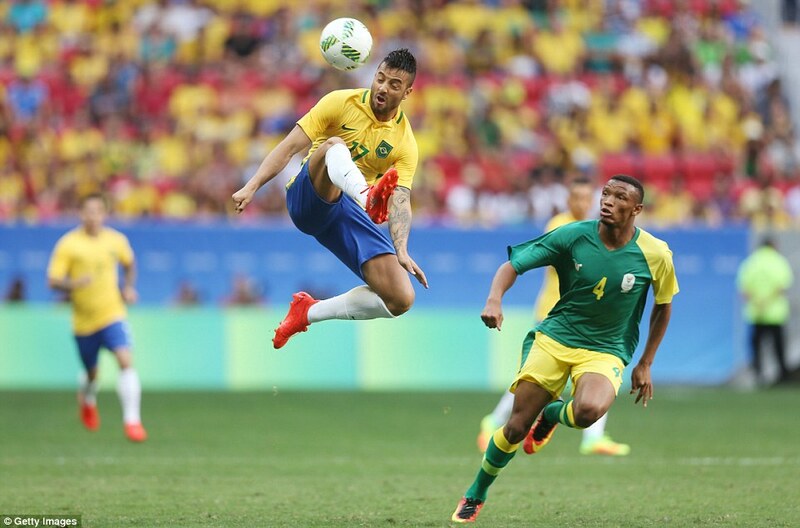 Brazil, who have never won the Olympic gold, started with a highly rated front three of Neymar, new Manchester City signing Gabriel Jesus, and Gabriel Barbosa, the 19-year old Santos striker who is expected to head to Europe before the transfer window shuts. But the little-known South Africans matched them until they had Mothobi Mvala sent off 10 minutes into the second half. 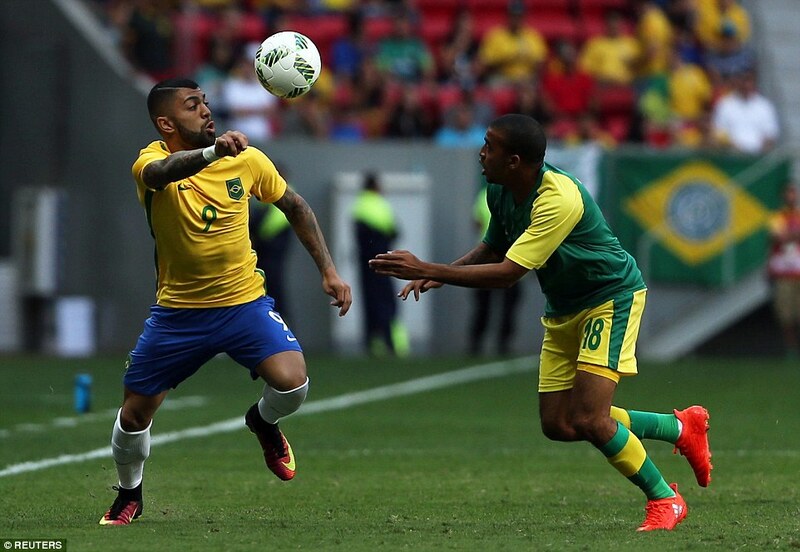 Brazil pinned the visitors down for the rest of the game but could not score. 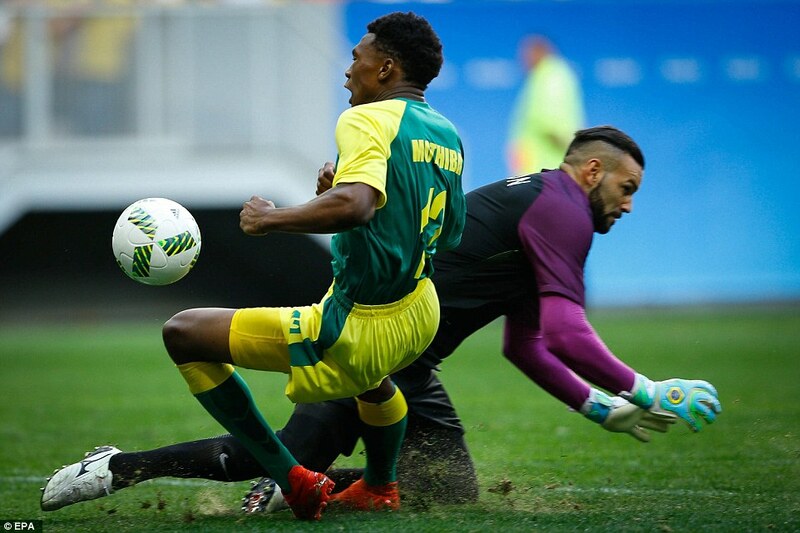 Barcelona striker Neymar had two of Brazil’s best chances, forcing keeper Itumeleng Khune to make diving saves to thwart two rasping drives from outside the box. Jesus smacked the ball off the post from two yards out when it looked easier to score in the second half and Barbosa should have done better when he scuffed a shot with only the keeper to beat. 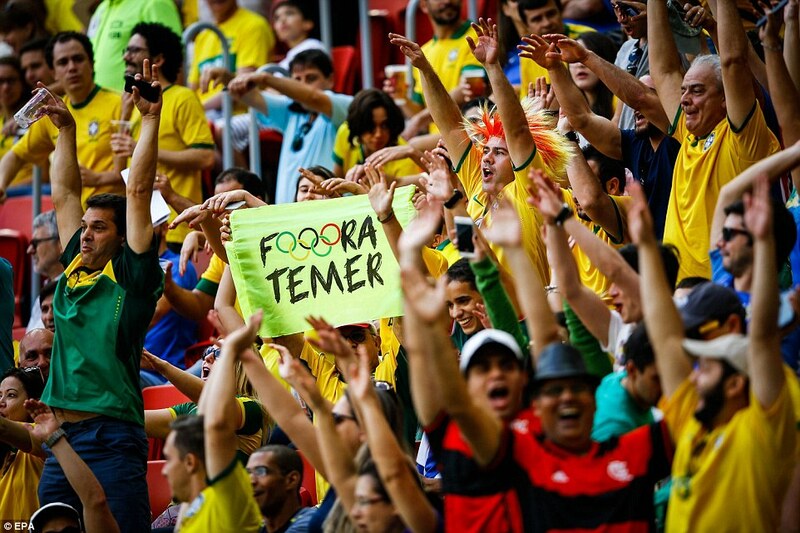 But a big crowd in the National stadium in Brasilia went home unhappy after the second game of the day ended goalless. 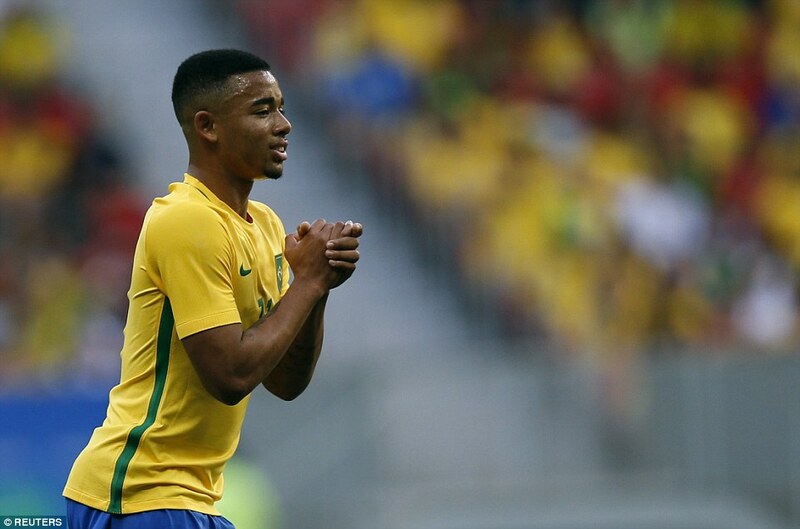 Jeers greeted the Brazil players as they left the field at the full time whistle. 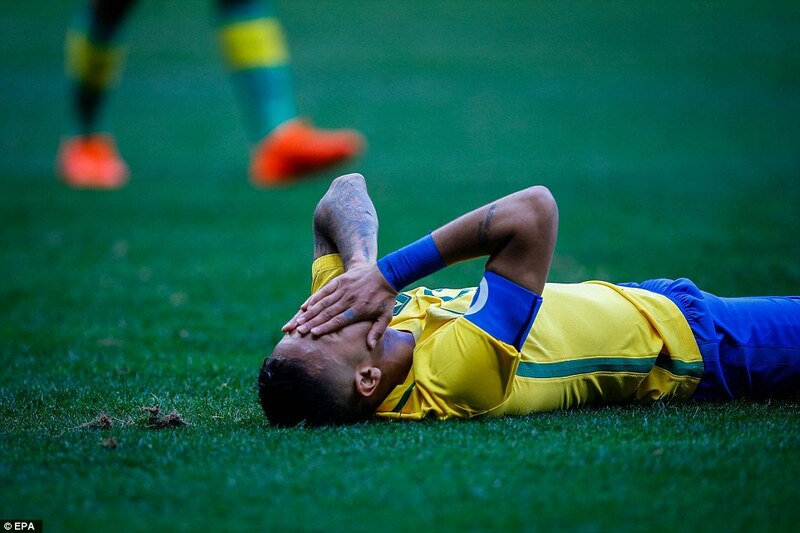 Brazil have put their failure to score against 10 men down to a bad day at the office. 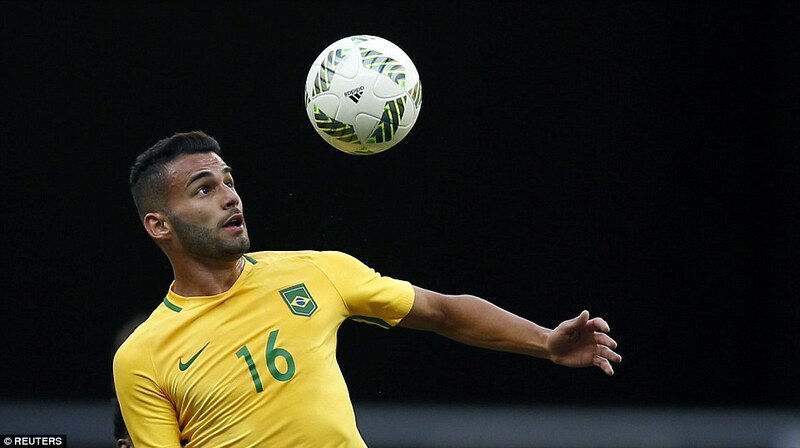 The hosts have vowed to work hard to improve before their next game against Iraq. Jesus’ miss in the second half – when it looked easier to score – was the best chance of the game with the player making no excuses for his glaring mistake. 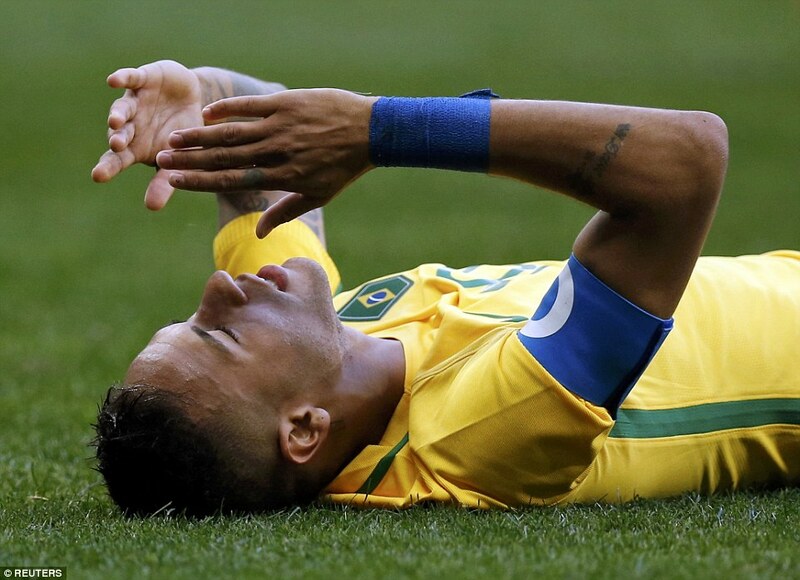 ‘I am disappointed I could not score, it was a mistake and that shouldn’t happen,’ he said. The new Manchester City striker argued the huge expectation of a partisan home crowd didn’t impact on their failure to score. 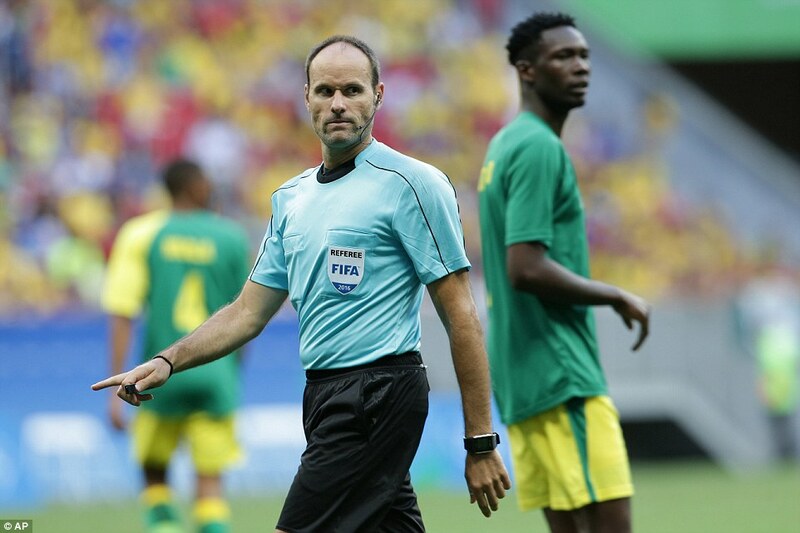 Some fans in the 69,000 crowd booed the team as they left the field but Brazil coach Rogerio Micale said the reaction would serve to steel his young charges. ‘The support of the fans is very important to the team,’ Micale said. ‘We know it is difficult in any competition, but if we have the support of the fans it will make things easier and help our players. Earlier on Thursday, Iraq and Denmark kicked the tournament off with a 0-0 draw in the same stadium. 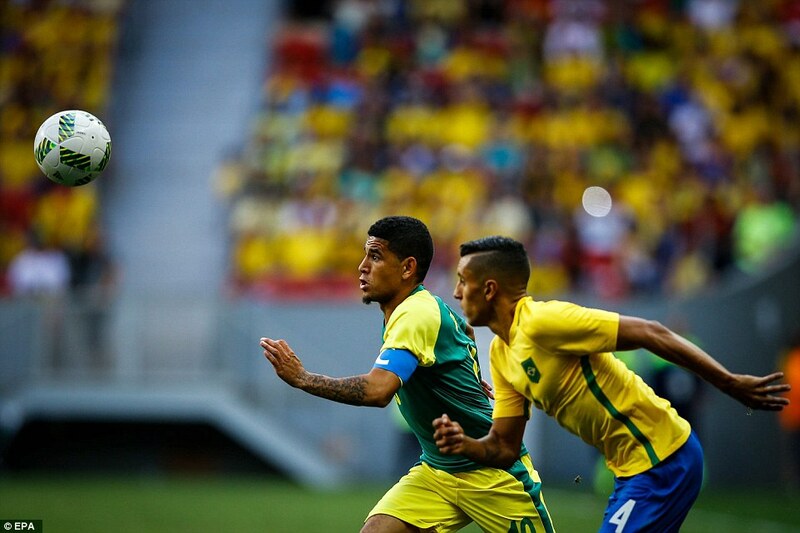 The first goals in the competition came soon after in Rio, where Honduras beat Algeria 3-2 in an enthralling match. 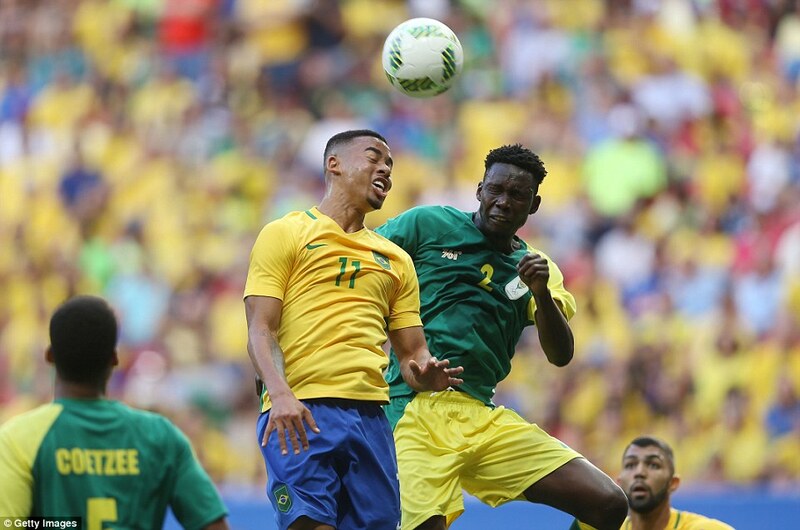 The opening ceremony for the Rio Games takes place on Friday but the men’s soccer tournament began 24 hours earlier, a day after the women’s soccer teams began their quest for gold. 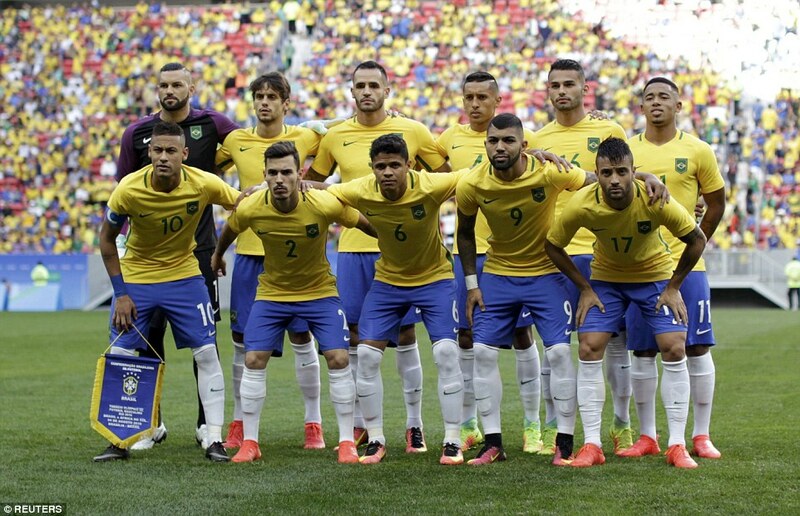 Twelve women’s teams are in Brazil, along with 16 men’s sides. 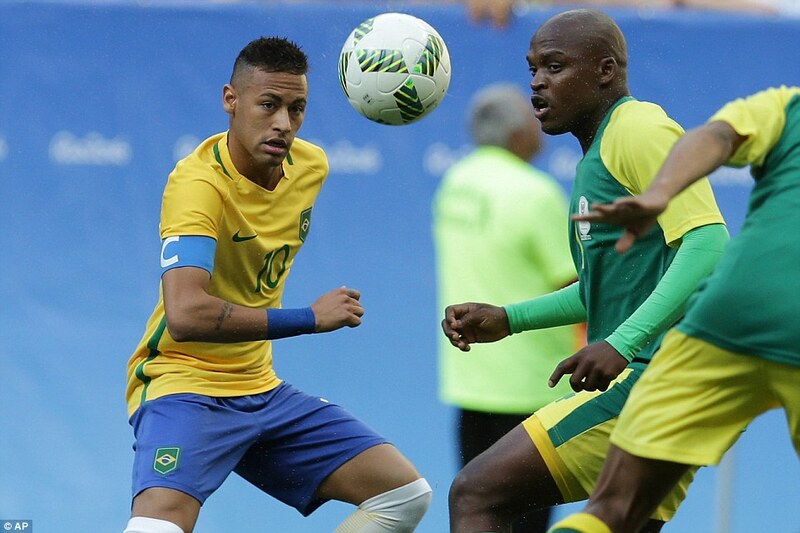 The Olympic football competition is being played in host city Rio de Janeiro and six other cities.